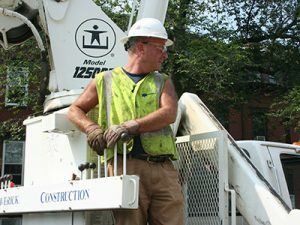 Maverick is New England’s premier Street Lighting Maintenance and Installation Company. Mavericks Expert Crews and Street Lighting team and well c=versed in all aspects of Street Lights and Street Light Conversion to LEDs. Our expert Lineman and Electricians are available to serve 24/7/365 all your Street lighting needs. Maverick has been the named prime contractor as the City of Boston Street Lighting Contractor for over 20 years. Maverick is also the Prime Contractor for all of the National Grid Street Light LED conversions over 50,000 lights. Maverick in conjunction with Verizon designed and installed the City of Boston pilot Smart City Vision Zero project. This project monitors the dangerous intersections within the City of Boston utilizing Smart City Technology. The goal is to reduce pedestrian accidents and casualties within the City of Boston.